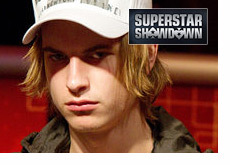 Viktor "Isildur1" Blom battled Eugene "MyRabbiFoo" Katchalov in the fourth "Superstar Showdown" on Pokerstars earlier today. Blom and Katchalov played 2,500 hands of $50/$100 No Limit Hold'em over a total of four tables. The result? A $111,750 profit for "Isildur1", which moves the Swedish phenom to 3-1 in "Superstar Showdown" matches. Blom now has wins over Katchalov, Tony G and Daniel Cates in "Superstar Showdown" battles, while his lone loss has come at the hands of Isaac Haxton. 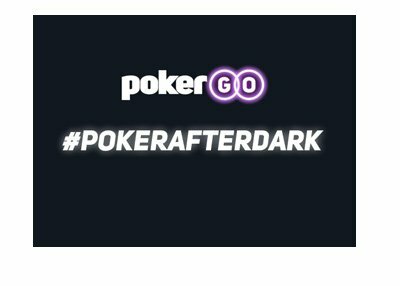 After the match between "Isildur1" and "MyRabbiFoo" had concluded, Pokerstars announced that the fifth "Superstar Showdown" match will take place on February 27th, and will pit Blom against an online qualifier. "Isildur1" led out with a bet of $3,850, and "MyRabbiFoo" called. The turn brought the Kh. "Isildur1" led out with a bet of $5,650, and "MyRabbiFoo" called once again. The river brought the 9h. "Isildur1" pushed all-in (for $16,300), and "MyRabbiFoo" made the call, creating a $62,500 pot. 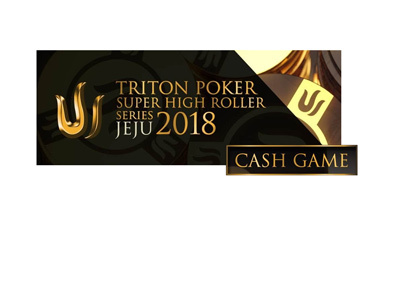 ..and "Isildur1" took down the $62,500 pot with his set of Kings. 2. A Failed Bluff From "MyRabbiFoo". "Isildur1" raised to $300 pre-flop and "MyRabbiFoo" called. "MyRabbiFoo" checked, "Isildur1" bet $600 and "MyRabbiFoo" called. The turn brought the Jd. "MyRabbiFoo" checked, "Isildur1" bet $1,800, "MyRabbiFoo" raised to $4,600 and "Isildur1" called. "Isildur1" took down the $35,500 pot his two pair, Jacks and Fives. As mentioned, the "Superstar Showdown" will be on hiatus next week.